It’s rare to see a game so demented yet fun to play as Revenge of the Sunfish. It is by far one of the most unusual games to recently come out. The psychedelic visuals in this game are extremely strange, but they are still quite captivating. An average gamer would definitely not enjoy playing this game for the first time, but then it grows on you when you realise that it’s quite hard to master. Most of the reviews about this game contain the words “weird, creepy and unusual” in bold because it is quite different for your everyday average arcade games. Xenosaga III: The Series Began in the Early Days of the PS2, but How Does it End? After the aliens have started attacking the earth, you start the game off with a knife in your hand. Learn all the controls and start the game. After the alien does the magic when you select the appropriate answers, you are taken into another world where there are leeches in the ocean that get stuck to your body. They will get attracted to you when you move, so try to remain still and move out of the screen slowly. Then you will see a lot of numbers on a red screen. Keep pressing the space bar until they match each other. 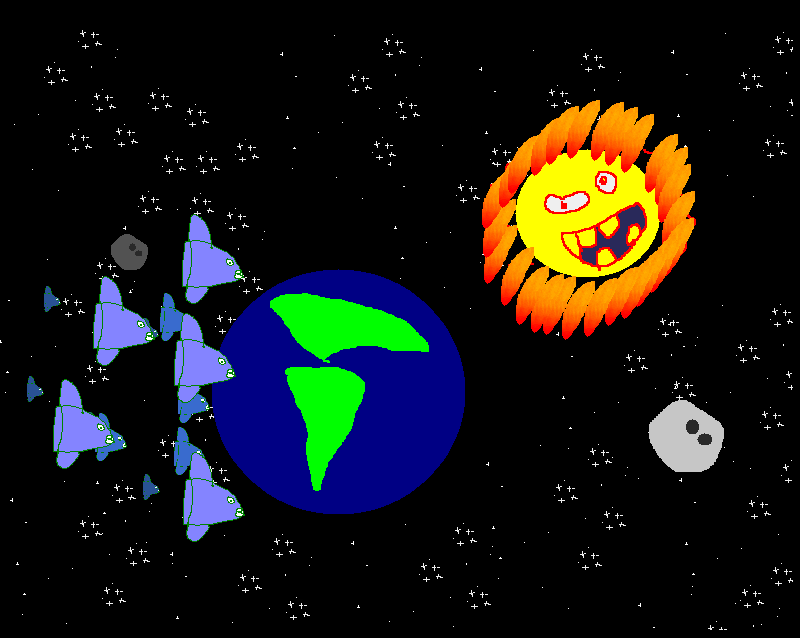 Once you have done that, you will see an alien world with yellow egg-shaped aliens flying around. Try to stab them all in the eye. You are also allowed to fly. Once you move out of the screen, you will fall down from a portal in the shape of a black snake. When you end up on the floor, you will see yourself entering a blue tunnel. Just keep moving along the tunnel until you reach the purple wall where you will be transformed into a purple coloured alien. Move forward, and meet your kind. They will take you to a dark portal where you can fly once again. Keep the knife in your hand, it will come in handy. Stab the white aliens on their backs and not their heads. If you slit their throat they will multiply. Now you will be converted into molten lava coming out of a volcano. Move down the mountain and turn into a butterfly. Move forward across the cloudy path and you will see how the aliens are approaching towards you. Do not move, the game will finish before you try to attack them. The author has suggested that he will finish the game in the second part which will be releasing soon. The Great Race Leaps to My #1 Spot!